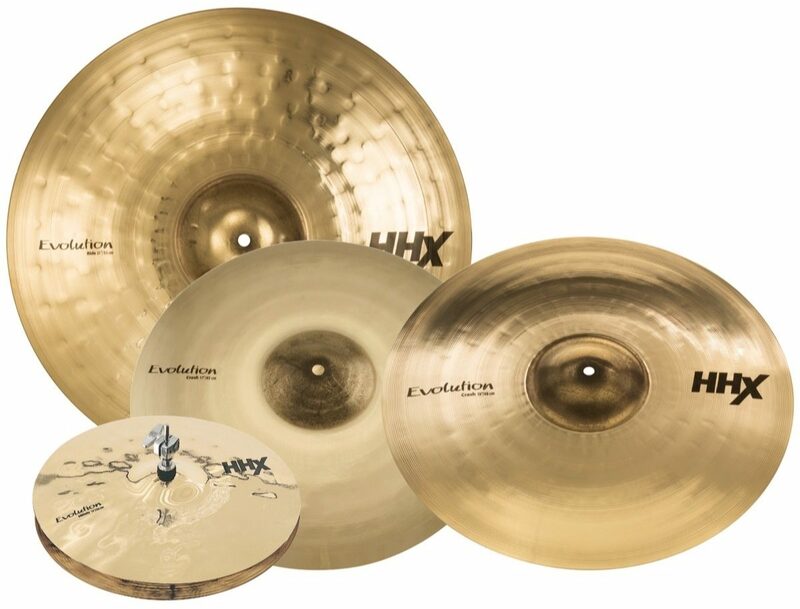 Designed with Dave Weckl, the Sabian HHX Evolution cymbals are undoubtedly one of the industry's most iconic and successful cymbal lines. Evolution cymbals speak with incredible clarity and brilliance, providing a sonic context of air and atmosphere. Their feel is remarkable. Buttery soft, they respond to the slightest touch, making them extremely easy to play, even at the lowest volumes. This package includes a set of 14" Hi-Hats, (1) 16" Crash, (1) 20" Ride and a Free 19" Crash. The 19" HHX Evolution Crash is a warm, explosive model, delivering fast, shimmering response for increased projection and cut. It maintains the bite and penetration of high-end attack with the warmth of a darker undertone. But there is notable separation between the bright high end and the warm low end, for a high-fidelity sound that is both warm and cool. In fact, it is this mix that defines HHX Evolution: retaining the low end, brightening the highs, and increasing sensitivity so that the lightest touch of a stick sets it off. Evolution puts out its total sound at all times, even at very low levels. zZounds is an authorized dealer of Sabian products. Sabian Warranty ﻿All Sabian cymbal series are guaranteed against defects in workmanship and materials for a period of 2 years from original date of purchase. A 6-Month Warranty applies to 'Solar by Sabian'. Cymbals replaced under our North American Warranty will be shipped only to an address in the U.S. or Canada. Overall: As a professional Drummer with over 30 experience, I have played Zildjian, Paiste and Sabian cymbals. The incredible sound, top drummers from around the world use HHX.